Welcome to Swabs Tapes India Pvt. Ltd. Manufacturer & Exporter of Industrial TapesThe company was established in 2003, at Thane. Our Well-equipped infrastructure &Good financial position help us to cater Indian Subcontinent & Middle East. Sterlite Industries & Poly Care Wire Ltd. are some of our esteemed clients and we aresupported by competitive prices & Excellent logistic support. We offer a wide array of Welding Tapes, Strips, Clips & Seals. Our Adhesive Tapes & Aluminum Foils are widely acclaimed in the market. Adhesive Foam & Films offered by us are available at affordable prices. Our Backing Tape & Rubber Products are best in the industry amongst others. We also provide Engineering & Fabrication Products that are some of our best sellingproducts. Along with that we offer Welding Tapes, Strips, Clips & Seals that are a class apart. 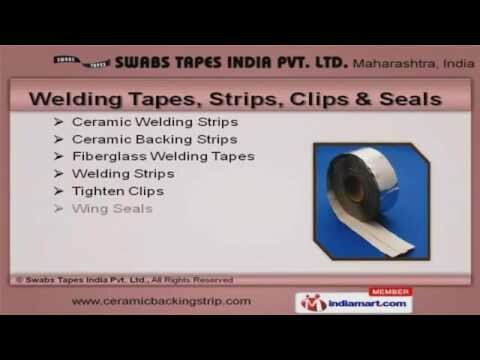 Swabs Tapes India P Ltd.